Now let’s get into the first question that most aquarium folks have about scrubbers: Should you buy or build? Before the year 2010 there were not really any options to buy, but now you can buy tiny to medium size scrubbers in the upflow style, or medium to large sizes in the waterfall styles. And for building DIY, discussion forums now have examples of every attempted scrubber ever thought of, complete with growth examples and nutrient measurements over time. There are some really amazing builds that have been done. We won’t get into DIY plans here though because there are so many available elsewhere, such as our AlgaeScrubber.Net forum that goes back to the very first builds in the year 2008. 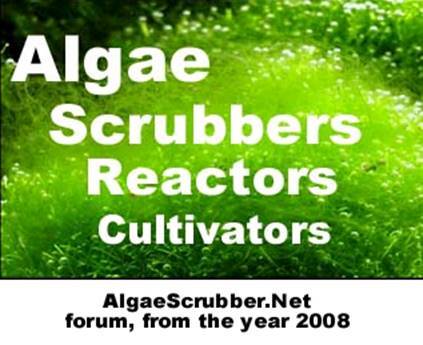 An algae scrubber can be made DIY fairly easily if you are good with building. 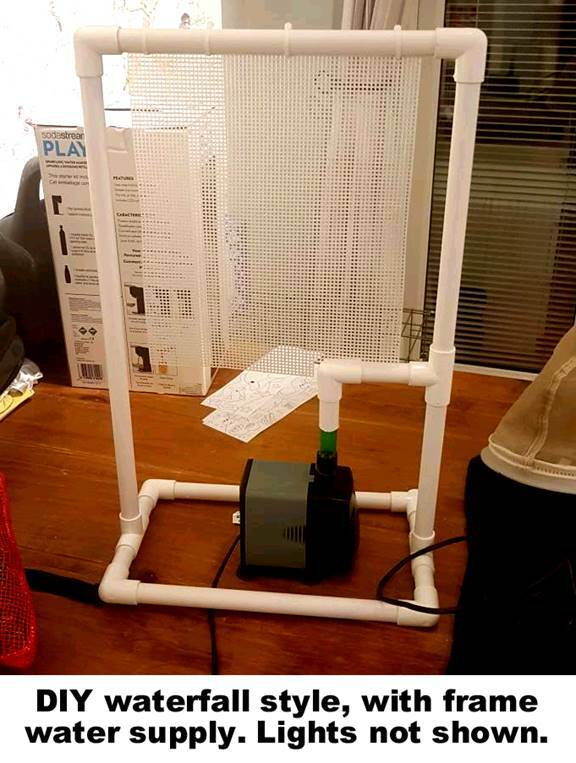 The typical materials of pvc pipe, acrylic sheet, glue, airline, etc are needed, just as if you are building a DIY reactor, overflow, or sump. One difference with scrubbers however, which makes them a bit more difficult, is the lighting that’s needed for the growth. Not only are you now dealing with electricity, but unlike DIY display lights which are above the tank in a dry air environment that you rarely touch, the lighting for a scrubber is in a humid or wet environment (or even underwater) that you touch daily, with wet algae dropping on top of it, all while possibly standing on a wet floor (maybe even with bare feet). 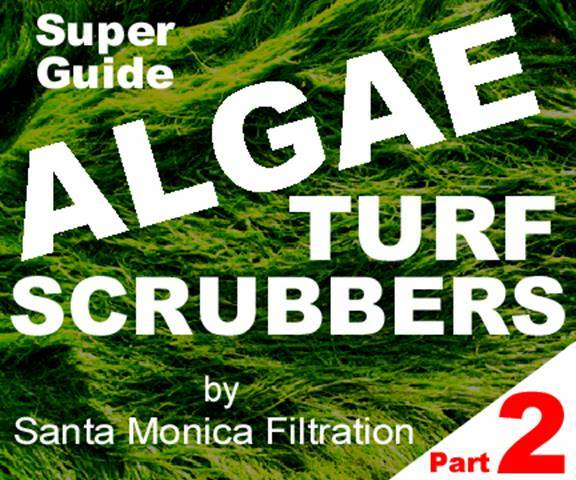 So don’t make a complex algae scrubber your first-ever DIY project. Buying a pre-built unit, however, is limited to what is for sale. Currently the only models available are waterfalls (which we invented in 2008 and are now made by us and others) and upflows (only made by us), and these are in certain sizes only. There are a very few number of horizontal river models, but these are from China, are tiny, and are without any lights. And there are no dumping bucket designs available at all, probably because of their complexity. The big advantage of DIY is of course money; most $300 USD commercial models can be DIY’d in a week for $60 in parts, and most of this is probably for the lights. But DIY also lets you choose the exact style, size, and layout you want to fit into your exact space. If you need a very large model, such as for small exhibits at public aquariums, you will have to DIY. DIY waterfall styles are generally going to need some acrylic or plastic gluing, unless you can find the proper size plastic box to start with. Cutting the slot in the waterfall pipe is the hardest part, and although it can be done with a Dremel moto-tool cutoff wheel, most people end up doing it over again with a table saw, router, or other shop equipment. The lights are easy however; usually the low cost Chinese plant-grow lights can be used from Ebay, as long as you follow the safety steps such as shown in LEDsafety.org properly. Most DIY folks can do the pvc pipes, so that’s not a problem. Waterfalls are not really suitable for freshwater, however, because the growth gets long and clogs drains and pumps. Also, waterfalls work best when placed over a sump; not externally on their own, because they can overflow, leak, and also drip from the waterfall pipe. DIY bubbling upflow styles can be the easiest, if they are similar to the Hang-On-Glass® styles that we make. These styles need no acrylic gluing or pvc pipe, and the LED lights just stick to a plastic cover on the outside of the sump or tank wall using magnets or suction cups. And the airline tubing for the bubbles is as easy as a goldfish tank. Cheap LED lights and a power supply from Ebay will do because they stay dry and are low voltage (no 240/120 volts at the light). 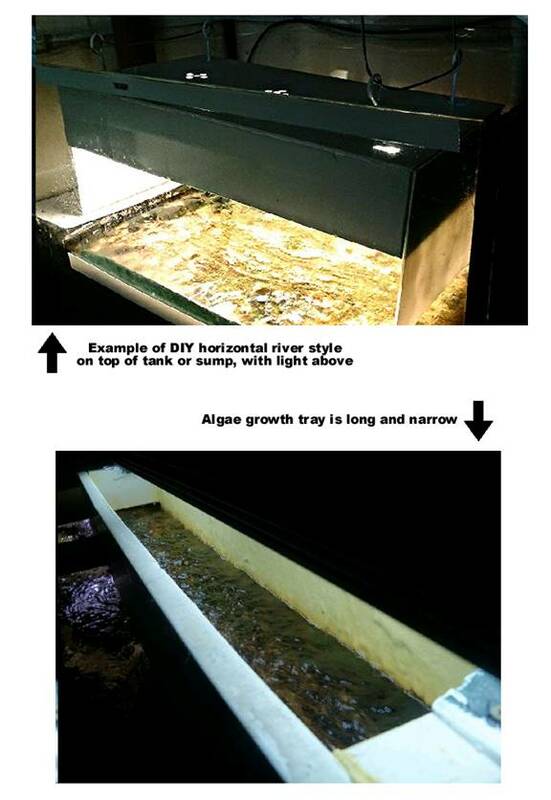 These designs might be suitable for first DIY projects if you can get help with the lights, and are great for freshwater too because the long growth is kept mostly inside the growth compartment. Lastly, they can’t overflow, leak, or drip because they are already underwater. DIY horizontal rivers are relatively easy to build; at least the river water part is. But again, the lighting can be a challenge over the long narrow pathway. One workaround for this is to put it under your display lights, but that’s just too cumbersome and unsightly for most people. 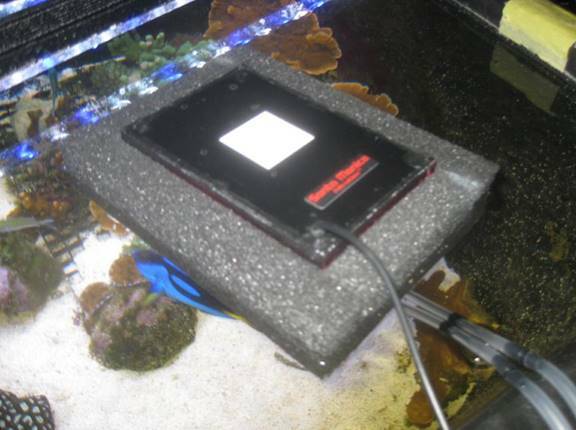 And if put over a sump, these designs tend to cover the top of the sump like a lid, so you can’t get to anything.